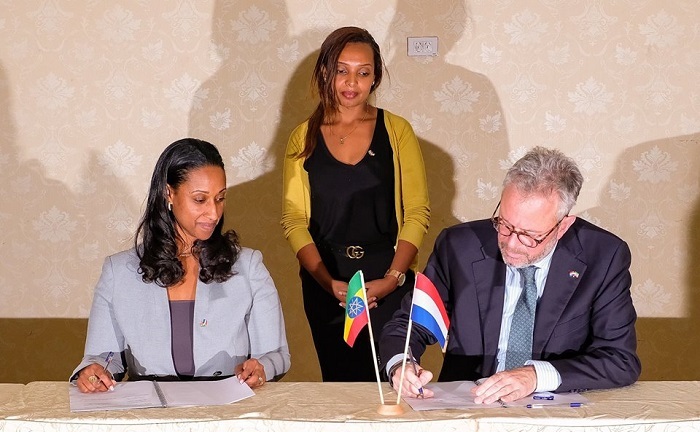 Ethiopia’s Minister of Transport and representative of the Netherlands Government signed agreement to work together on transporting and handling of logistics, according to Embassy of the Netherlands in Ethiopia. Flying Swans is a program that aims to set up a chain of cool logistics from Ethiopia to Djibouti. Maintaining temperature of fruit and vegetables while transporting by train and by sea in refrigerated containers is essential in export. The potential for cooperation is huge, as Ethiopia could generate millions in import income and create millions of jobs. The Netherlands, a global player in international logistics, intends to assess the possibilities for Ethiopia.